It's time for another review here on A Yellow Brick Blog and today it is a skincare one! So grab a cup of tea, coffee, squash and get comfy! I have always been fairly lucky with my skin. Never had a bad case of spots and only ever rarely getting one or two obvious ones dotted around my face and bumps/pimples down the side of my face. Saying this about 4 weeks ago I noticed a small outbreak on my forehead, especially around my hairline - also the rough 'bumps' down each side of my face looking worse than usual! So I couldn't believe my luck when these 2 products came into my life. 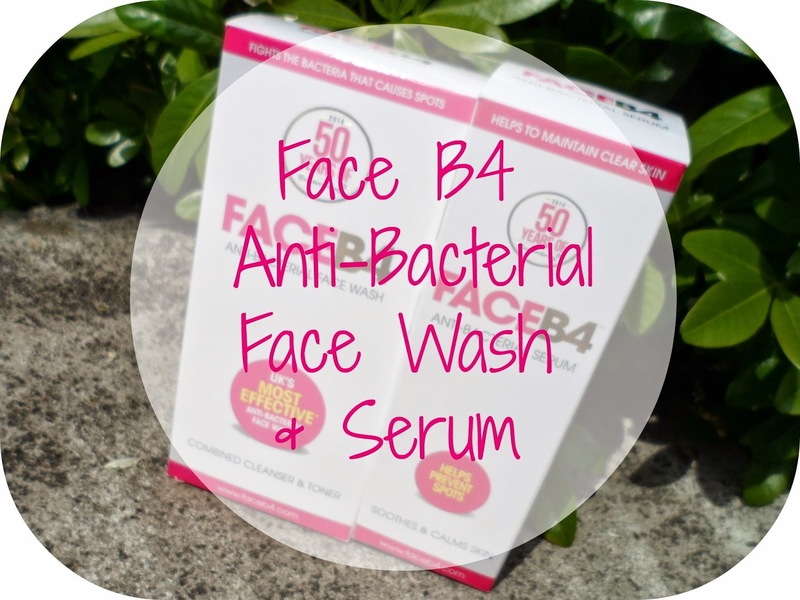 Face B4 is an anti-bacterial regime of daily skincare aiming to reduce skin conditions and help maintain healthy looking, clear skin. These 2 had my attention from the start - something to help reduce blemishes and redness was definitely what I needed so I jumped straight in and starting using them! First up, the daily cleansing foam wash. This is a combined cleanser and toner with a dual pump-action nozzle which is super easy to dispense! I love this idea, no more step after step after step - this is a quick and easy foam you apply to damp skin, massage in and then wash off 60seconds later - simples! I have been using this every evening after removing my make-up with a hot cloth cleanser. It does say to use this morning and evening but for me it's just been an evening routine as I have other products I use in the shower each morning. It is really gentle and pretty much scentless, it's really soft and leaves my skin feeling fresh and clean. Next up is 2 of the FaceB4 regime the anti-bacterial after cleasning serum. Now I really need to get this off my chest before I start.... I HATE the smell of this stuff - it is rank. I had to just get that out, because it's the only downfall to these two! The serum is to be applied to dry skin after the foam wash. I've found 2 pumps is about right to cover my whole face, I pump it onto my fingertips and gently massage it all over until it's been absorbed! I then follow up with my Nivea soft cream and head to bed! I've been using this for a few weeks and have been really pleased with the results. The few spots I had on my forehead actually went down in just a couple of days and seemed to have been kept at bay! Bit gutted you can't tell much of a difference in each of my crappy photos because in real life when I look in the mirror I see such a difference! 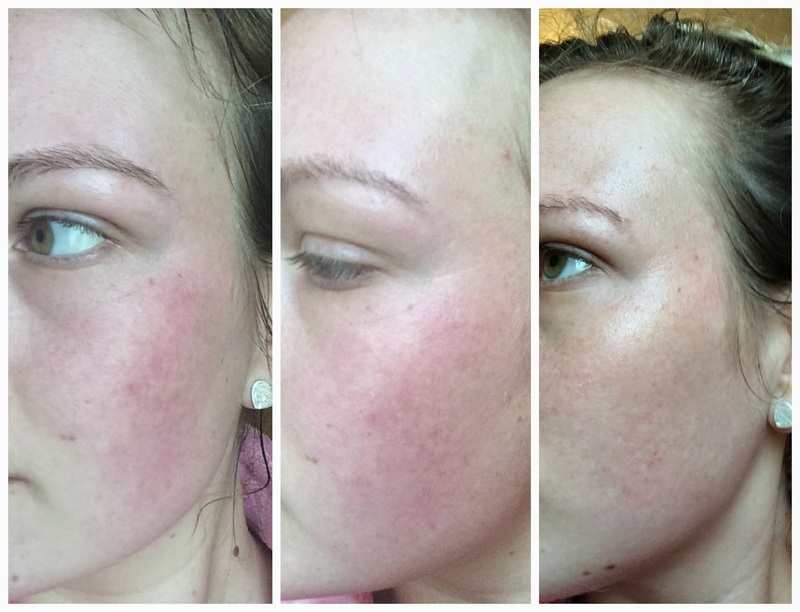 The redness of my skin has changed drastically and this is what I've been most happy with. My skin DOES looks clearer and Face B4 has given me a nice natural glow which makes me look healthier and definitely more 'awake'. You can find this duo both online at their official site here or at Superdrug/Boots. The foam cleanser is priced at £14.95 and the serum £9.99. This sounds like such a good product!! You can definitely see the results in your before and after pics!